Silicon Valley is the creative epicenter of the technological universe. The land of Zuckerberg, Sandberg and Brin has nurtured such fertile minds as Menuhin, Stern and Fleisher, heirs to century-old creative traditions. But sometimes, even the oldest traditions can hit refresh and learn a thing or two from new, unhindered ones. When it comes to piano-playing, Gary Graffman, 89, a pupil of Vladimir Horowitz, has seen it all. The former Curtis Institute director remembers the day a 10-year-old boy auditioned against roughly 100 applicants — many of whom were older — and came out on top. Hsu’s prodigious musical gifts would take him from 3rd grade at Weibel Elementary in Fremont to one of the most prestigious music conservatories in the country, following in the footsteps of siblings Ashley and Andrew, who are Curtis alumni. Ironically, it was there, in the artistic haven of Curtis, that Hsu’s Silicon Valley roots began to surface. He developed an interest in computer programming, and with the help of friends, contributed to the creation of Workflow, a prize-winning app that was acquired by Apple in March of this year. Definitions of art are rarely agreed upon, but older traditions tend to have one thing in common: They’re steeped in reliable values — some in the form of close-minded beliefs. One fixation that appears to linger in classical circles is that of race. Fortunately, keener minds in classical circles are seeing the light. 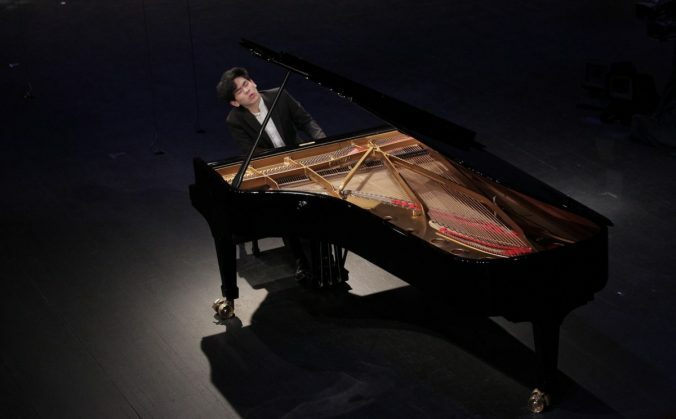 Dang Thai Son, winner of the 1980 International Chopin competition, witnessed Hsu’s gifts firsthand when he coached the younger pianist on Schubert’s Impromptus, which will be performed Saturday in San Jose. In spite of age-old problems in music, Hsu continues to hone the phenomenal talent that’s been garnering attention since he was a boy in Fremont. Because for all the attractions of the tech world, music itself never disappoints in its unique beauty.